I read with great interest an article written in Daily Express dated 22-3-2009 in conjunction with Dr Herman Luping's soon-to-be-launched book "The Indigenous Ethnic Communities of Sabah: The Kadazandusuns". 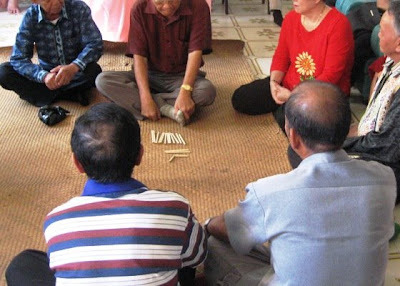 Kirai, the home-made cigarette used here to convey a message during engagement ceremony is still practiced within the Kadazan and Dusun community. First thing first, there is no such term as "kadazandusun". 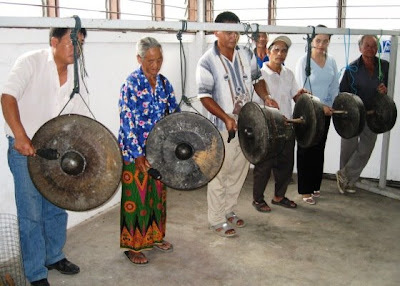 It was created by politicians in an effort to supposedly unite the Kadazans and Dusuns in the 80-ies. Has it unite the many tribes socially? Not necessarily, if anything it only gave rise to more debate on what should one identify oneself as. While leaders of those days prefer to have one term for both Kadazan and Dusun, the population at large never really subscribe to this idea. Even Dr. Luping himself is a fanatic, to certain extent. Read the article and you will understand what I mean. It is alright to dissect the bigger group into smaller tribes (and this is according to where they are residing, remember Sabah is not that big, geographically) but in my opinion let one identify himself/herself what he/she is comfortable with. Luping can be so hard on with his Kadazan stance but go easy with people who prefer to call themselves Dusun. Luping forgot about Tamparuli and Kiulu. 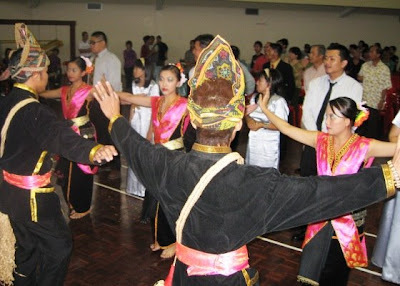 There are many Dusuns there; much more than the Lotud in Tuaran and these two areas are big enough to be put under separate DUN, namely DUN 10 and DUN 11. So, which tribe does he group these Dusuns into? Liwan, Tindal or Lotud? Say, he sourced his material partly from Sabah State Museum and through interview. Maybe he has not met with the Deputy Director of Sabah Museum which hails from Tamparuli. It would be interesting to listen to his opinion. 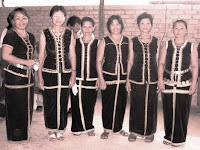 It must be noted that Bisaya, Tidong and Kedayan does not really fall under either Kadazan or Dusun community.